With iDJ Live II, you can mix music on your Mac, PC, iPad, or iPhone. It’s up to you. A standard USB connection is included to connect to your Mac or PC laptop, and iDJ Live II also includes both 30-pin and Lightning™ cables for use with virtually any generation of iPad, iPhone, or iPod touch. Two large performance turntables and a central mixer section with a crossfader give you the same layout and capability of DJs all over the world. Just load your tracks to either Deck 1 or Deck 2, and then control it, cueing up the start point, performing advanced transitions and even scratching. 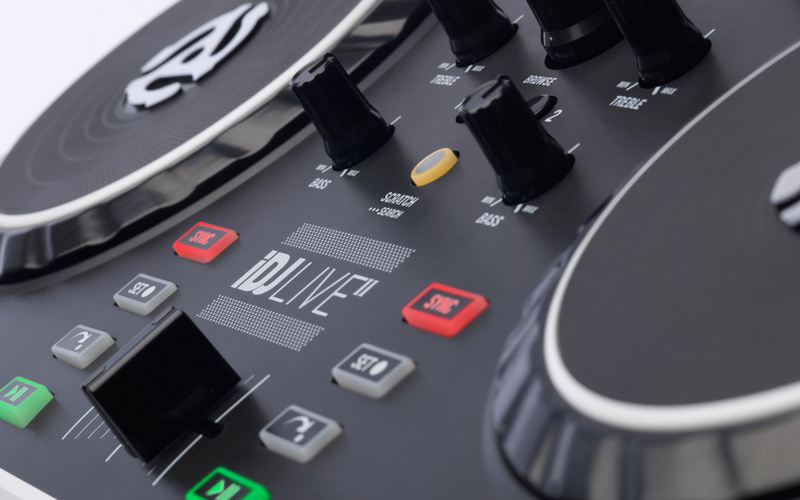 iDJ Live II works seamlessly with Algoriddim’s award-winning djay 2 app for iPad, iPhone, and iPod touch (sold separately). djay 2’s integration with Spotify brings an additional 20 million songs to your library. 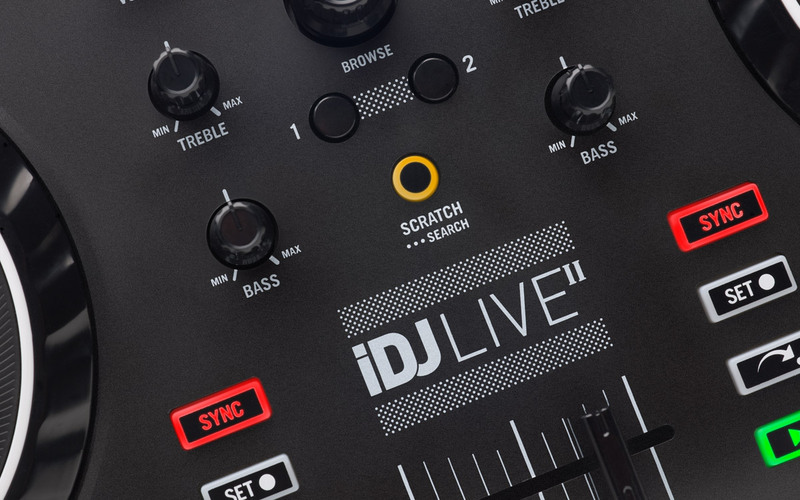 iDJ Live II comes with djay LE for Mac so you can start DJing right away. 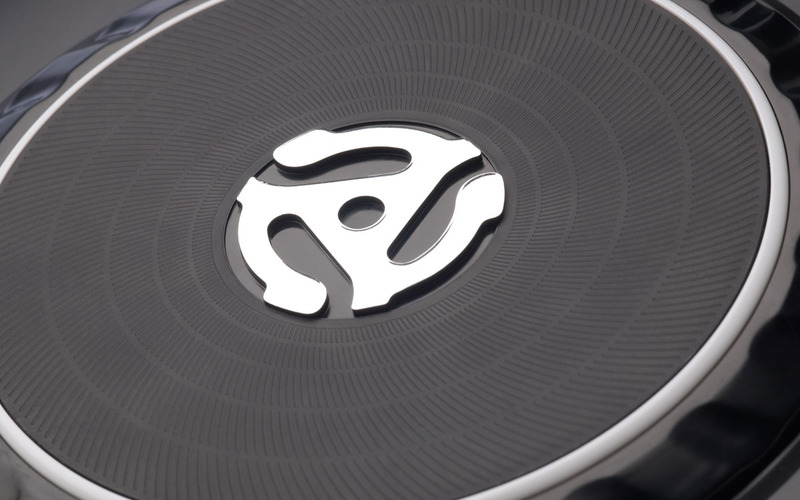 Mix your iTunes music library with your Spotify playlists on a hyper-realistic turntable interface. Bring your mix together with the touch-sensitive platters, EQ controls, and enable djay’s FX directly from the iPad for a powerful live performance. Take your mixing skills to the new level—video. Algoriddim’s video-mixing app, vjay, also works seamlessly with iDJ Live II to give you an incredible video and music mixing experience (vjay sold separately). You'll be able to interact with videos in a whole new way using real-time video transitions, audiovisual effects, and real-time VideoScratch™ to create video remixes and mashups that you can instantly share on YouTube, Facebook, and more. iDJ Live II comes complete with an iPad stand and custom headphone/speaker audio cable so connecting to your sound system is easy. Connect your computer, iPod touch, iPhone, or iPad in seconds using the included cables and let the mixing begin. Mac, OS X, iPhone, iPad, iPod touch, Lightning, and App Store are service marks, trademarks or registered trademarks of Apple Inc., registered in the U.S. and other countries. Algoriddim, djay, and vjay are registered trademarks of Algoriddim GmbH. IOS is a registered trademark of Cisco in the U.S. and other countries and is used under license. Spotify is a registered trademark of Spotify AB. Compatible with iPhone 3GS, iPhone 4, iPhone 4S, iPhone 5, iPhone 6, iPhone 6 Plus, iPod touch (3rd generation), iPod touch (4th generation), iPod touch (5th generation), iPad 2, iPad (3rd generation), iPad (4th Generation), and iPad mini. Requires iOS 6 - iOS 8.4.1.